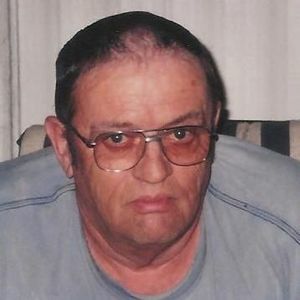 BELTON - Dennis William Croxton, 74, of Belton, died Wednesday, January 28, 2015, at 11:44PM at his home. Mr. Croxton was born August 30, 1940, in Muhlenberg County. He was a boilermaker and member of Forest Oak Baptist Church. He was also a U.S. Air Force veteran. He was preceded in death by his parents, Hershel and Katie Croxton; sister Martha Nelson; brother James Croxton; and grandson Joshua Croxton. Survivors include his wife, Judy Adler Croxton; sons Richard (Tonya) Croxton of Belton, Anthony Croxton of Beechmont, and Darin (Paula) Croxton of Drakesboro; daughter Denise Croxton of Belton; 10 grandchildren; 8 great-grandchildren; brother Donnie Croxton of Drakesboro; and sisters Jean Smith of Drakesboro, Doris Roso of Belton, Carol Dukes of Belton, and Helen Bivins of Greenville. Funeral services will be Friday, January 30, 2015, at 3:00PM at Forest Oak Baptist Church in Belton, with Rev. Bobby Allen officiating. Burial in Forest Oak Cemetery. Visitation will be Friday from 1-3PM at the church. 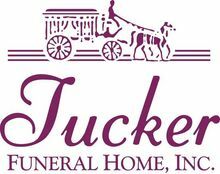 Tucker Funeral Home is in charge of arranagements. Online condolences may be made at www.tuckerfuneralhomes.com. So sorry to hear of the loss of your brother, Carol. Our thoughts and prayers are with you. Please know that all of you are in our thoughts and prayers!!! Just think of the home coming he received when he got to Heaven! !! Find comfort in knowing that you will one day see Dennis again. God Bless you all! I am soo sorry for your broken hearts. All my love to aunt Judy and my beloved wonderful cousins Denise Tony Richard and Darin. Uncle Dennis was very unique and memorable. Always a hug a smile and usually a joke of some sort. He had a way of making people laugh and smile all the time. A very hard working man and loving father and papaw and husband. My thoughts and prayers are with each of you. I'm glad uncle Dennis will be with my dad and grandgratty and so many other loved ones passed in Heaven. No pain no sorrow no suffering. Only happiness joy love and grace of our Lord. Special prayers to Denise because I know exactly how as a daddy's girl she is feeling right now. I love you cuz. I'm here. Judy sorry to hear about the passing of Dennis glad i got to visit with him a couple of weeks ago i will never forget that visit he was a good man and friend you and your family are in our prayers may God comfort you and your family through these sad times. Judy and family, I am so sorry to hrar about Dennis. Such a wonderful man. You all are in my thoughts and prayers during this difficult time and always. Love you all. We extend our deepest and most heartfelt sympathy from our entire family to the family of Dennis Croxton. Special thoughts and prayers for Judy and the children. So sorry to hear of Dennis passing. We are praying for you.